In the absence of a credit score and established credit history on a credit report, alternative credit references are perfectly acceptable to help you obtain an FHA mortgage. This morning I attended an FHA Underwriting web-conference. While I’ve been originating FHA Insured Loans for 21 years, I think it’s important to stay up to date with guideline changes. More importantly, the web conference gave me the opportunity to speak directly with an FHA Underwriter who sees FHA loans from all walks of life and from all over the country. I had a few questions, but my primary question had to do with clients who don’t have established credit histories. 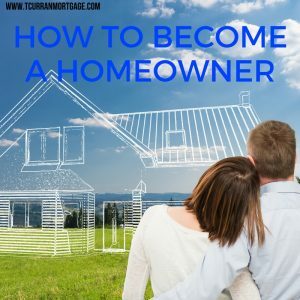 I’ve blogged about this before here at tcurranmortgage.com because this is a situation I encounter frequently here in the NY Metro region. Many of my clients are immigrants to the United States (just like ME! ), and often they have limited or non-existent credit profiles. This isn’t a BAD thing when applying for an FHA Insured mortgage loan. Let me put it simply: BAD credit is a BAD thing; NO credit is NOT a BAD thing. And let’s not confuse “I have no credit” with the reality I often see after hearing that statement from a client and running a credit report: When you say you have NO credit, you really mean NONE, ZERO, ZILCH, NADA. You do NOT mean no credit cards today or auto loans today because you have seven collection accounts, a car reposession, and two defaulted student loans. That’s BAD. When I run your credit report and encounter NO credit score due to NO credit history, I may still be able to assist the client with an FHA Insured Loan. What we’ll do next is to establish what’s called an “Alternative Credit Profile.” We can accept other forms of credit that most established adult consumers have: Rental payment histories (cancelled rent checks), Car Insurance payment histories, Cell phone, utility bill, cable bill payment histories. All of these—and other similar items—are acceptable alternative credit references. In the absence of a credit score and established credit history with credit cards, student loans, auto loans and etc. on a credit report, these alternative credit references are perfectly acceptable to help you obtain FHA mortgage financing to buy your first home. The FHA Underwriter happily answered my query about such situations: YES, she is seeing many FHA loan approvals with the alternative credit histories in place of an established credit history and credit score for a consumer with NO CREDIT. Collection accounts need to be settled (paid) in order to qualify for mortgage financing. Many folks are unaware of collection accounts until they get prequalified for mortgage financing and the mortgage professional runs an updated credit report. Lo and behold don’t there appear a collection account or two of which the client may not have been aware. Those accounts will need to be settled (paid) in order to qualify for mortgage financing. Even in the instances where you may be aware of a collection account prior to prequalifying for a mortgage loan, the following information should be useful. There are basic steps to settling a collection account which—based upon my long experience as a mortgage professional—can provide rapid and satisfactory results. These instructions I am providing are based upon my observations of clients who have either already attempted to pay off open collection accounts or, as part of the mortgage qualifying process, make settlement arrangements. I’ve watched the successful attempts and the failures. Step 1: Verify the Creditor. Collection agencies purchase open collection accounts from your original creditor for pennies on the dollar. That means that an account with a major retailer such as Sears of which you owe $665.00 would be purchased by an outside collections agency for, say, $150.00. Better Sears receives some money rather than none and then writes the entire debt off their books. When the Collection Agency collects the debt from the consumer, anything they collect above $150.00 is profit. But Collection Agencies sell of their debt, too. It’ s not unusual to see a collection debt having been “sold” from the original creditor to Collection Agency “A” and then that agency sells it to Collection Agency “B.” You will need to verify who the original Creditor was and the true balance due. The balance due can change over time as collection agents add late fees and interest. Step 2: Prepare for Contacting the collection agency. Before you pick up the phone to make the call and settle the account you need to have a few things prepared in advance. First, the money. If you are going to negotiate a settlement for less than the full amount owed, or even to pay the balance in full, you’ll need the money at hand. The collection agent doesn’t really want to hear how you plan to pay them at some unknown future date. If, for example, you have an idea the collection account balance is roughly $470.00 then you should have at least that much disposable cash on hand to make immediate payment once you speak to the collection agency. Next, you’ll need access to a fax machine. Part of my recommended process includes the collection agency sending you both a confirmation of agreed upon settlement terms (before you pay) and the final satisfaction of the debt in writing. You want to have immediate access to both letters from the collection agency for your protection both before and after you make the payment. Finally, you must know the method of payment you’ll make. Are you considering mailing a check? Do you know how to do a “check by phone?” What about using a credit card, do you have one with sufficient balance available to settle this account? If you are planning on sending the money via Western Union, have you researched how and where you will do that? It doesn’t make sense to go through all the trouble of contacting the collection agency, receiving confirmation in writing of the balance due to permanently settle the account and then you can’t send the money for another week or so. You’ll want to send the money immediately so be prepared for that. Step 3: Make the call. Adopt a polite but firm speaking tone when you make your call. The representative of the collection agency is not your friend; neither is he your enemy. You never need to get nasty or to raise your voice. You don’t need to get into the “how this happened” or explain ANYTHING. You are simply calling to make a business arrangement: payoff a debt you owe. Now, you must keep in mind it is James’ job to get the maximum amount possible on this account. Remember, the collection agency probably did not pay in full for this account when they purchased it from the original creditor (or the previous collection agency). If James begins quoting a number that is substantially higher than that indicated by your research, then you need to work that number down to what you are prepared to pay. Keep it civil, and keep it calm: “I’m afraid that number is substantially higher than I was planning to pay. The balance with the original creditor was $400, my research indicated I might have to pay you $470 today for late fees and interest. 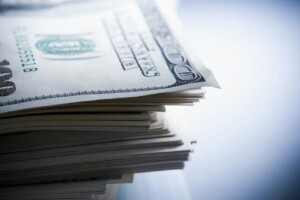 I’m not prepared to pay $600.” When James tries to get that higher amount, stand your ground and remind him you are ready to send the money TODAY once you have confirmation from him in writing of the amount needed to permanently settle the account. If you find you are getting nowhere with the first representative you speak with, don’t hangup. Simply ask to speak to that person’s supervisor. I find it’s useful to say something like, “I”m sorry James, it appears you are not in a position to help me with this account today. May I please speak with your supervisor?” He may try to keep you on the line and get that $600 out of you, but, when all is said and done, if you stand your ground you will ultimately get a supervisor on the phone. If that doesn’t work, ask for that person’s supervisor. You must “climb the ladder” if that’s what it takes to get this thing done and paid NOW. Keep reminding the people you are speaking to that you are ready, willing and able to make payment TODAY. Believe it or not, that holds a lot of weight when speaking with a collection agency. Once you and the representative (or the rep’s supervisor’s supervisor!) have worked out the final number and your method of payment you will ask for written confirmation BEFORE you send off any money. I once had a client settle two collection accounts for his daughters’ cellphone bills. He made the call, followed my instructions and got his payment in the same day. But he neglected to get a written confirmation that his payment would permanently settle the account. We discovered about a month later that the creditor maintained a balance due for the difference between what he had paid and what they felt was due. GET WRITTEN CONFIRMATION OF THE SETTLEMENT AMOUNT BEFORE SENDING PAYMENT. This written confirmation should also indicate that you will permanently settle this collection account, no balance will be due, the amount of the settlement, and that your account with this collection agency will be closed. And you want this written confirmation on the collection agency’s letterhead, signed by the representative (or appropriate party at the collection agency) and dated. Email confirmation is NOT acceptable. Further, do not accept a letter if it doesn’t indicate all of the above terms and if it isn’t signed and dated. Once you receive this written confirmation you must get your payment out immediately as per the terms of your agreement. Otherwise you’ll have lost any negotiating credibility with this agency and your phone will begin ringing off the hook as the collection agency attempts to collect the debt. After you have received payment, I think it important that you make a follow up call to your representative at the collection agency. The purpose of the call is twofold. First, verify they have received payment. Second, request your written satisfaction of payment letter. As with the terms of agreement letter, your satisfaction letter should be on the collection agency letterhead, dated, signed by the appropriate representative and indicate clearly that your debt is permanently settled, no further action will be taken and that the collection agency will notify the three credit bureaus that your account is paid and closed. This last part seems like it should be automatic, but don’t be so sure. I have seen many collection accounts settled and not updated on a consumer’s credit report as paid and closed. Be sure this is in your final satisfaction letter. There you have it. Instruction as detailed and yet as simple as I can provide for you based on my observations of many, many clients attempting to accomplish the same goal as you: payoff a collection account and get qualified for a mortgage loan. Verify. Check it out. Read all about it. “Just the facts m’aam.” That’s me. I hate spouting off about something of which I know nothing, and which I have not verified. Maybe that’s one of the qualities that’s helped me create and maintain a successful career as a Loan Originator since 1989. Erica, the wonderful and sharply professional office manager at Weichert Property Works in Brooklyn considered cutting up a credit card after she finished paying it off. I argued strongly against that course of action. Her credit score could actually drop if she follows that path. It’s a little known fact that closing a credit account is almost as bad as having a collection account on your credit history. 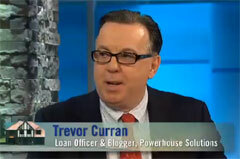 I’ve seen the results first hand in my role as Loan Originator. Let’s face it, when you’re buying a house, if you can afford to do it, you pay off your outstanding credit cards so you walk into your new home debt free! I know because I did it, too when I bought my first house. You want a clear mind and a worry-free attitude about extra bills on top of your mortgage payment. But the results on a credit score are contrary to that logic, unfortunately. I have seen folks with fantastic credit have their credit scores drop dramatically because in the months before they met me for the mortgage prequalification they paid off and closed their credit card accounts. Perfect credit histories are affected with a lower score because 12 accounts were paid and closed and reduced to 2 or 3 accounts. I applaud that conservative thinking, but apparently the credit scoring engines don’t. In plain English, what happens is that you have fewer active credit accounts, therefore you are using less credit therefore your credit score has less to work with in determining your overall use of your credit. That’s the flawed logic (IMHO) of the credit scoring system. While this opinion is derived originally from my professional experience, I took the time to verify the facts with the source of all things credit score related: The Fair Isaac Corporation, or FICO, the folks who created the algorithm used in credit scoring. You can find that information right HERE. The Federal Trade Commission announced a settlement with LifeLock for misleading claims about its Identity Theft Protection services. The Federal Trade Commission, in its advancing campaign against scams and misleading marketing with regards to credit reporting, credit scores and Identity Theft Protection, recently announced it had coordinated a settlement with LifeLock for misleading claims about its Identity Theft Protection services. LifeLock agreed to pay $12 Million to settle charges by the FTC and 35 States that Identity Theft Prevention and data security claims were false. More information about the settelment and about LifeLock’s false claims on the Federal Trade Commission website. Why pay the Credit Agencies for Identity Theft Protection? You can do it yourself for FREE thanks to free information from Uncle Sam. Those television commercials will scare you into paying for some kind of ID Theft protection from one (or all, depending on your level of paranoia) of the three major credit reporting bureaus (Experian, Trans-Union, Equifax). Since Congress unfettered these agencies from the constraints of selling credit products to the consuming-public, ID Theft protection and credit score watch (allegedly to make your credit history better) are the hot products that consumers fork over cash money for each month in the form of “ID Theft” prevention monitoring and whatnot. Usually the fees are in the range of $10-15 a month, but they can be higher, $25-40 depending on the level of monitoring the consumer desires. The problem I have with all these services is that the savvy consumer, by spending just a little time each year (and almost NO money) can pretty much get the same level of protection without subscribing to anything nor sending money to the credit bureaus. Take some time to read the information, then set yourself on the path to protecting your Identity FREE of CHARGE. I’ve been reading credit reports for 20 years. Often I’ll ask a client the status of a judgment that appears on the credit report. We’ll need an explanation for the derogatory credit account and the judgment may need to be paid and a Satisfaction of Judgment obtained in order to get the client’s mortgage loan approved. Too often the reaction has been, “What judgment? I don’t have any judgments.” Upon further investigation we come to discover the judgment is real and truly in place against my client. But the client insists she was never served any court papers informing her of a pending court date. At the court date presumably she would have the opportunity to mount a defense of the judgment. By the time the client finds out about the judgment—in her meeting with a mortgage professional to buy a house, or in the attempt to purchase a car—it’s too late. The client never showed up at court on the appointed date, never had the opportunity to present a defense and lost the case simply by “default” for not appearing. Thus a creditor—usually a collection agency at this point—obtains final and definitive proof that the debtor owes the money. The creditor then has the most potent weapon available to collect on that debt, either by seizing the debtor’s assets (such as a bank account) or forcing payment once the creditor discovers the notorious judgment sometime in the future. This seems a particularly nasty collections tactic. At some point the debtor in such a case has to settle the debt, even if they had a valid defense in the first place. The debtor is forced to do so either because she is attempting to apply for some new form of credit, or, worse, a bank account has been seized through the enforcement efforts allowed once a creditor has obtained a judgment. I think of the many cases I have encountered where clearly the debtor did not owe the money. Two examples come immediately to mind. 1. Health Care: Often my client has had for many years a comprehensive health insurance plan. But there appears on the credit report a judgment for some medical collection account that originated with some visit to an emergency room or for some medical test (X-Ray or blood test) that actually would have been covered by the client’s health insurance. Problem is the doctor/hospital assigned the debt to collection before the health insurance plan got around to paying the bill. I know this is the truth, because too many times my client was able to research the debt and get his health insurance to pay it! But the damage is done: the collection account or judgment is on the client’s credit report thus forcing the client to settle the debt and then do the appropriate followup with his health insurance after the fact. 2. Furniture. How do you force a woman to pay $5,000 for furniture she never received? You obtain a default judgment, that’s how! I’ve seen this happen more than once: the client purchases furniture on credit. At some point the order is cancelled, either through immediate action on the part of the client or through action on the part of the client and the furniture store (the furniture wasn’t available in that color or the cancellation was the result of poor delivery practices i.e., damaged goods). Months and months later, the poor client’s checking account is seized by some lawyer for non-payment of the furniture debt thanks to a default judgment. She never had the chance to show up in court with her documentation to prove the furniture was never delivered and thus she shouldn’t have to pay for something she doesn’t own. NYTimes.com today reports that New York’s Attorney General is taking to task the firms responsible for serving the papers to debtors in these court cases. Apparently it has come to the attention of the Attorney General that these firms never actually get around to serving the papers; the notice of hearing documents often wind up in “the sewer.” Without notification, the client doesn’t show up. If the client doesn’t show up, “Presto!” default judgment is obtained. Nasty, very nasty. I’m happy someone is finally taking a good hard look at this particularly nasty practice.